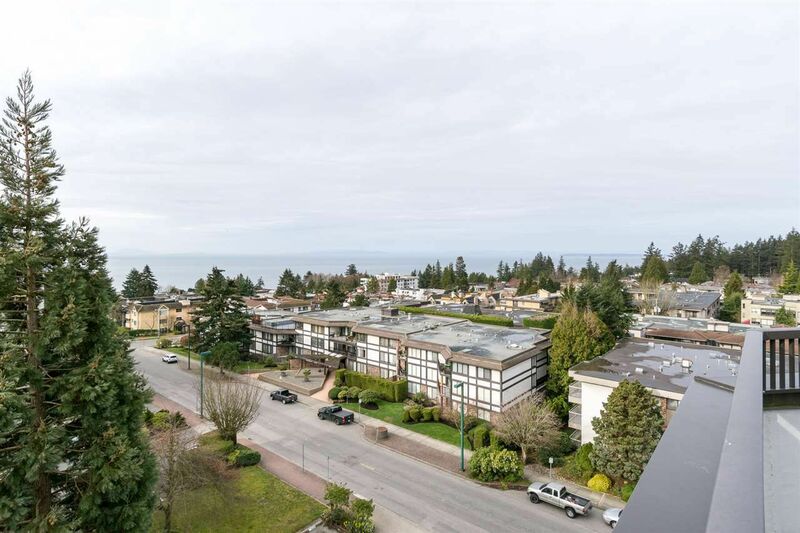 NEWLY RENOVATED 2 bedroom Penthouse level unit at White Rock Square 1! This concrete high rise building features a bonus roof top clubhouse and large deck with STUNNING views of the Pacific Ocean! The unit features an open concept layout with a large glassed in balcony(brand new windows to be installed soon). New kitchen, quartz countertops with large island, beautiful back splash to match and new stainless steel appliances. The bathrooms include new tile floors and vanities with marble countertops. New lighting, floors, crown moulding and paint make this unit a MUST SEE!! !